MOSCOW — The two Russian men spun an unlikely tale of hapless tourists defeated by grim British weather. They traveled more than 1,000 miles to see England's famed Salisbury Cathedral but were turned back by slush and snow, then returned the next day and spent two hours exploring the "beautiful" city. "Our friends had been suggesting for quite a long time that we visit this wonderful city," Petrov said in the interview. "They have a famous cathedral there," Boshirov said, adding studiously: "It is famous for its 123-meter spire. "James Slack, spokesman for British Prime Minister Theresa May, derided their claims as "lies and blatant fabrications." "More importantly, they are deeply offensive to the victims and loved ones of this horrific attack," he said. Britain said the attack was almost certainly approved "at a senior level of the Russian state," an allegation that Moscow has vehemently denied. The surprise TV appearance by Petrov and Boshirov came a day after President Vladimir Putin said Russian authorities know the identities of the two men but insisted that they were civilians and there is "nothing criminal" about them. He urged to contact the media, and Petrov said he heard Putin's statement on the radio and contacted Margarita Simonyan, RT's editor-in-chief who conducted the interview. 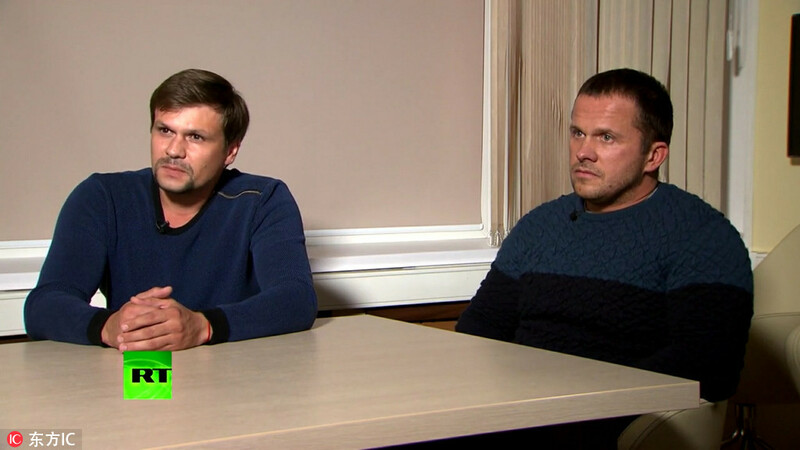 Petrov said that on their first trip to Salisbury, they were unable to make it from the train station to the cathedral — about 800 meters (half a mile) — because of snow and slush. Much of Britain suffered such weather that day. The weather was better the next day, when the two were caught on camera at the Salisbury rail station at 11:48 am. 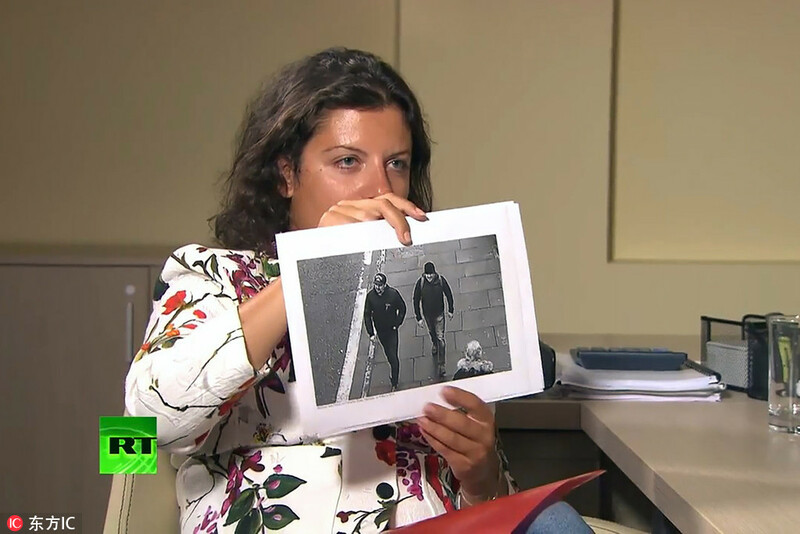 Ten minutes later, another camera found them walking in the direction of Skripal's house — the opposite direction from the cathedral. They again were recorded in the center of town an hour later and were at the station by 1:50 pm, two hours after arriving. "We walked around, enjoying those beautiful English Gothic buildings," Boshirov said. They got a flight back to Russia later that evening.